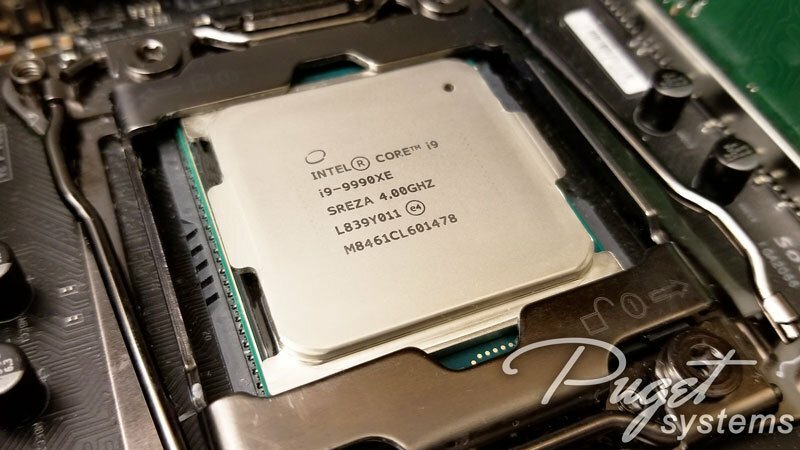 The upcoming Intel Core i9-9990XE high-end desktop processor designed for socket LGA2066 is almost ready to be unleashed. Recently, more information about its specifications including benchmark tests conducted by Puget Systems surface on the web. The Core i9-9990XE is a 14 core processor with 28 threads featuring a base clock speed of 4.0 GHz and a boost clock speed of 5.1GHz; with an all-core Turbo Boost of 5.0GHz. That’s impressive considering it’s a 14-core CPU. The mainstream Core i9-9900K can also achieve 5GHz on all cores with manual overclocking, but it’s only an 8-core CPU. The i9-9990XE has 19.25MB of L3 Cache, 44 PCIe 3.0 lanes, a TPD of 255W and supports Quad DDR4-2666 memory. Unfortunately, price is unknown at this moment, but expect this processor to be a very expensive one. 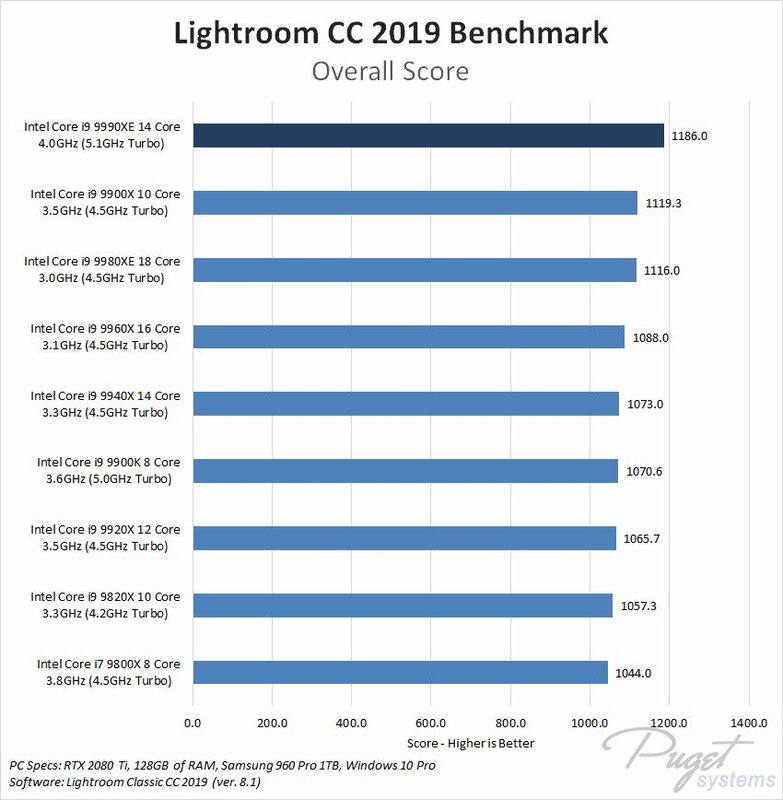 Check out the benchmark results below. For the full details of the testing methodology, hardware used and other information regarding the Intel Core i9-9990XE’s review, head over to the source link below. 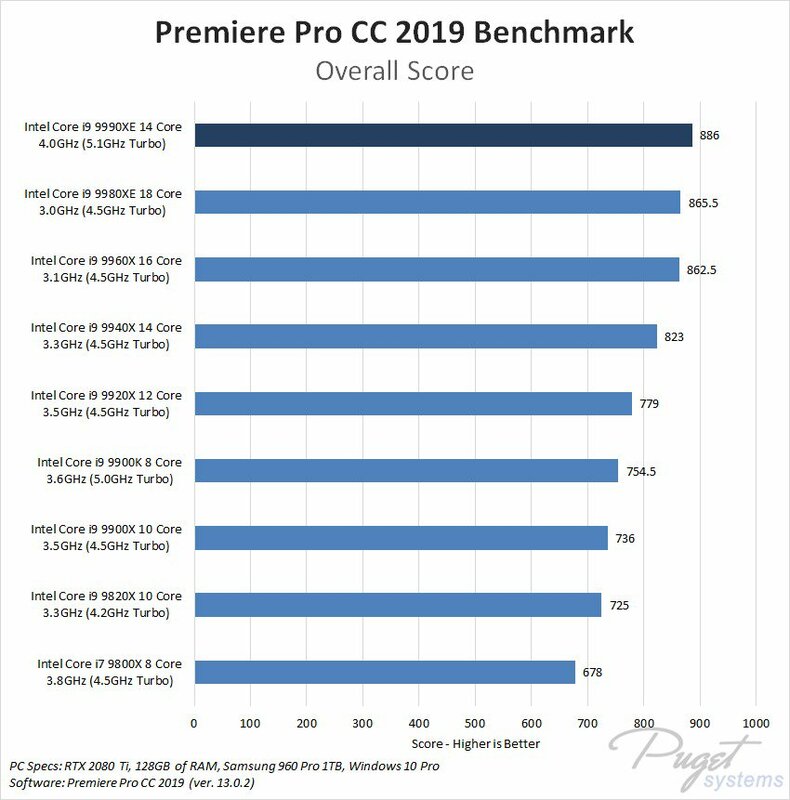 Based on the results by Puget Systems, the Intel Core i9-9990XE is a beast of CPU and as expected to be in the lead. However, they did mention that even though it beats the other CPUs in raw performance, it doesn’t necessarily mean that it’s a good choice; even if you can get one. Not to mention this CPU would be an OEM-exclusive chip. Nevertheless, it’s still quite an interesting CPU considering its amount of cores and the boost clock speeds it can achieve. Perhaps Intel may decide to release this CPU to high end system builders and enthusiasts as well. Time will tell.